B.A., Economics Cambridge University, M. Social Sciences in Birmingham University, UK and Ph.D., Development Planning, UCL, London University, U.K.
Former Director of the Centre for Ecological Economics, he is interested in economics of the environment and in Social and Environmental Research including climate change, forestry development, and urban environmental management.As Director of CES , besides European studies and theoretical aspects of regional integration and how they may apply in other contexts eg the ASEAN region, he is now developing co-operations with Centres for European Studies in Thailand and abroad through joint activities such as exchanges of information, research and scholarly exchanges. Dr. Baromey Neth is a tourism specialist. He is Head of Tourism Department at the Royal University of Phnom Penh since 2003. His academic and professional research focuses on integrated conservation and development, community economic development, sustainable development, planning, policy, and management issues in tourism as well as on rural development. He is specifically interested in development policy and planning oriented research works which involve the design of sustainable approaches and frameworks that can be applied to help develop and operate responsible tourism in a way that benefits micro and macro economy, conservation of natural and cultural resources, and community development. Mariangela Franch has been a professor of Marketing and Service Management at the University of Trento. In 1993 she founded the eTourism Research Group, on interdisciplinary group for studying the characteristics of the tourist sector in alpine regions. In 2000 she founded the Master’s degree in Tourism Marketing. The current research interests of Mariangela Franch are linked to sustainable tourism and destination management and to the governance of local tourism systems. She has published widely in the areas of tourism marketing and management, with over 100 publications in international journals, government reports, book chapters, monographs and presentations at international conferences. Consultant, researcher and trainer in the field of higher education, is director of TSM a graduate specialization school for managers and professionals. He coordinates and design training projects , research and interventions with public and private institutions. Among the most recent activities the planning and supervision of tourism marketing plans in Uzbekistan and other Russian republics; for the County of Split and Central Dalmatia and for several Italian tourism companies. BA in Philosophy and Economics, University of Ho Chi Minh City; MA in Philosophy and Economics, University of Ho Chi Minh City; Dip. in Management, Innsbruck University, Austria. ; Ph.D. in Economics, Innsbruck University, Austria. Former Vice Dean of Philosophy and Economics, University of Ho Chi Minh City. Graduate in Sociology and MA in Development Economics he has been in charge of aTEMPUS JEP with the State University of Bukhara (Uzbekistan) on Teaching Methods on Tourism Economics and former referent for Double Degrees between University of Trento and Universities of Bremen, Dresden and Freiberg (Germany).Author or co-author of many publications on Political economics, international trade, sustainable tourism and development economics he is now president of Trentino Volunteering Group (GTV) , an NGO located in Trento which works on development projects in Vietnam and the south east Asia. His research interest in the field of tourism studies includes seasonality in tourism, travel motivations and behavior and the impacts on tourism and second homes. He has also led several research and development projects in nature and waterbased tourism, tourism statistics and cultural and event tourism. Researcher of the Territory, Environment and Construction Centre, Univ. Minho. 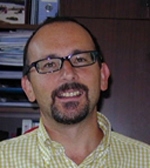 Expert of the Evaluators Team of European Community (EE19981A23568). Visiting Professor of several Universities in Europe, US, Brazil and Thailand. a Vice-Dean and Dean of Civil Engineering Studies she has fostered supportive initial talks with Habitat for Humanity, Braga, Portugal. Author / co-author of over a 100 publications and Portuguese Delegate Member of European Union COST Action C27 “Sustainable Development Policies for Minor Deprived Urban Communities”.